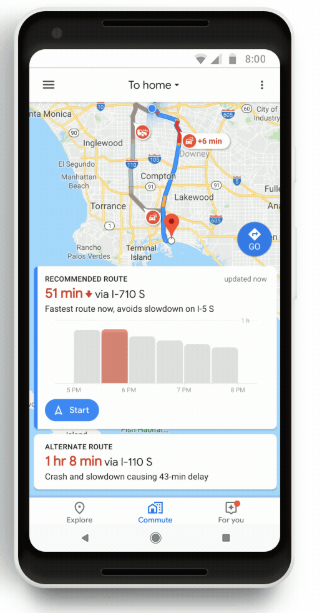 Google Maps for iOS and Android is set to gain a big update this week, as new commuting features will debut, along with integrated in-app music controls, to make travel more enjoyable. According to Google Maps data, people spend “over an hour a day commuting” in Canada and the USA, which is equivalent to a two-week vacation. Data also shows rush hour commute times are usually 60% longer than what people expect. To make commuting easier, Google Maps is set to gain a new Commute tab, to provide one-tap easy access to live traffic and transit data ahead of your commute, so you can adjust your travel accordingly. If there are delays, Google Maps will inform you about alternative routes. Also, for those who have mixed-mode commutes such as a drive, walk and ride on transit, a new feature will automatically calculate your ETA across all modes to let you know when you’ll get to work. For transit riders, Google Maps will now show real-time bus or train information on the map, in 80 regions worldwide. For those in Sydney, Australia, Google says their partnership with Transport New South Wales will inform Google Maps users how full their next bus or train is. Last but not least, there will now be in-app music controls within Google Maps, with support coming for Apple Music, Spotify and Google Play Music. 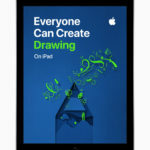 Users will be able to control music and podcasts within Google Maps, without the need to jump back to their music app. 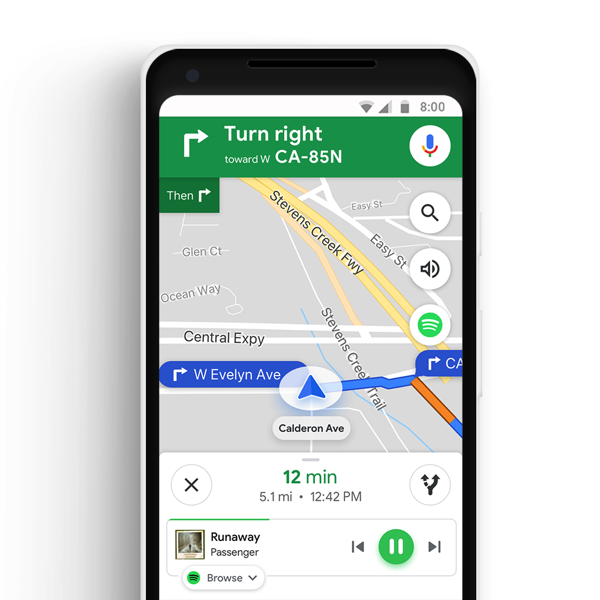 Google’s other navigation app, Waze, has long had in-app support for Spotify, so this music support addition to Google Maps is definitely a welcome one.